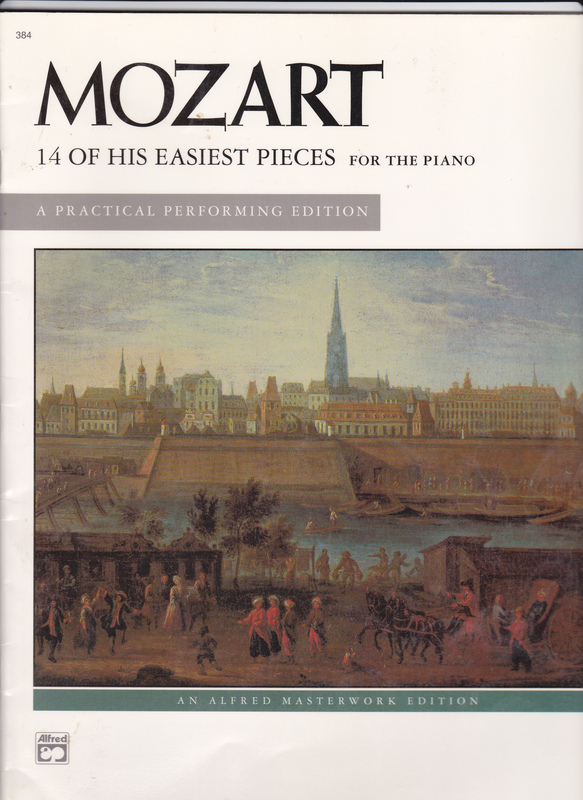 I stumbled upon this musical gem when I purchased Mozart, 14 of his Easiest Pieces (Alfred, publisher) Not at all deceived by the description “easiest,” I read through the collection knowing the challenge of interpreting the master’s music with expression and refinement. It should be noted that this Minuet was composed by Mozart at the age of 5 or 6, under the guidance of his father, Leopold. The works of Mozart whether dating from his early or later years require a singing tone, adherence to various articulations relative to the Classical style of the time. 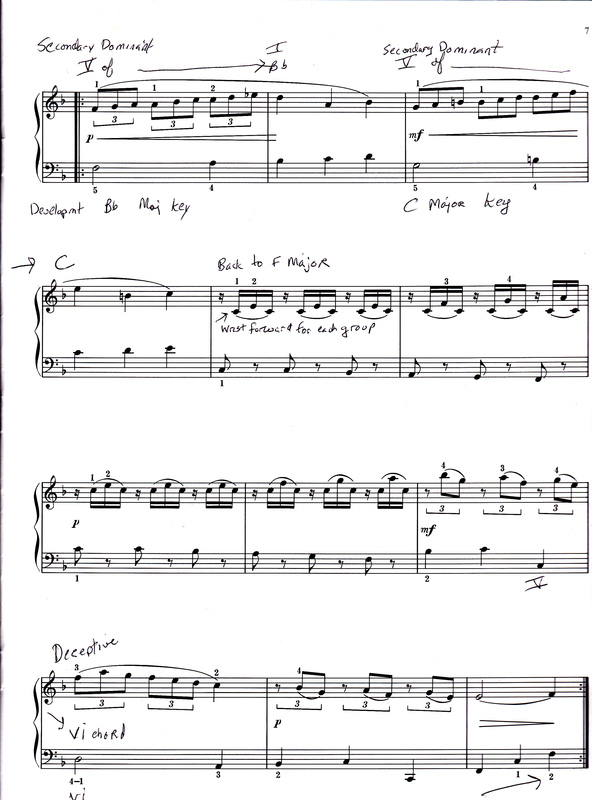 The F Major Minuet showcased in the video has a particular vitality when it journeys from the opening triplet figure to a string of after beat 16th notes (grouped in 3s) The execution of these repeated figures requires a forward moving, supple wrist as I demonstrated in the tutorial. 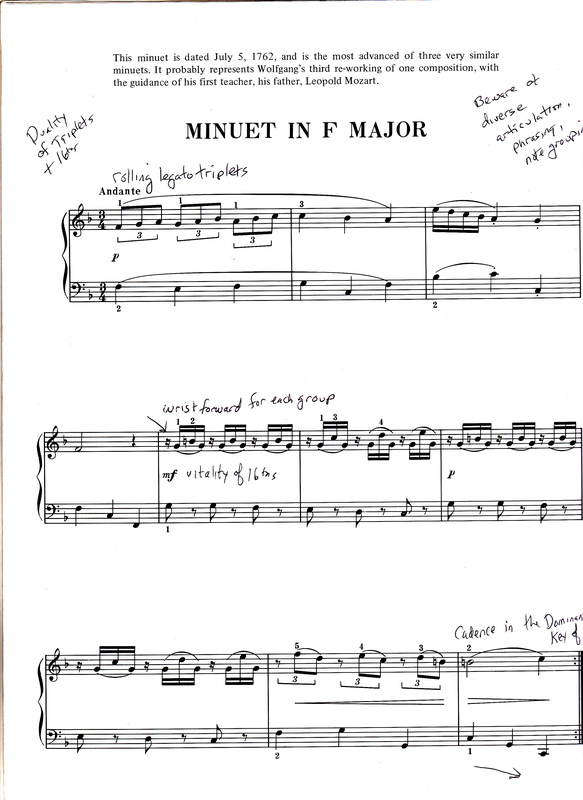 What stands out in this composition and makes it more unique than minuets of the time (including Mozart’s own output) is the glaring dualism of triplets and 16ths. One can say that dividing the quarters into triplets and then quickly having underlying eighths or 16ths to the quarters provide engaging musical moments. It gives the piece a sparkling vitality. This particular rhythmic dichotomy was so appealing that it wooed me to learn the composition in short order.